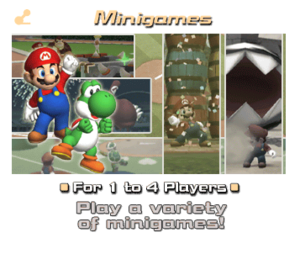 This page details one or more prototype versions of Mario Superstar Baseball. 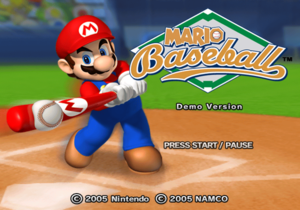 A demo of Mario Superstar Baseball (at this point, Mario Baseball) was released on Interactive Multi-Game Demo Disc 27 in January 2005, well before the Japanese final was released on July 21. Help get into ZZZZ.dat to find some unused stuff. Same with the final game. The old logo is different, with a baseball diamond as the design. 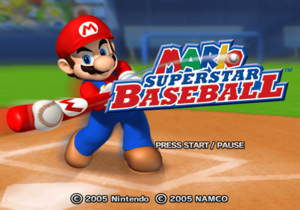 The title on the left says "SUPER MARIO STADIUM" instead of "Mario Superstar Baseball". Several words are capitalized differently. The description for Exhibition Game is aligned differently. There seems to be two extra options, though they're both locked. 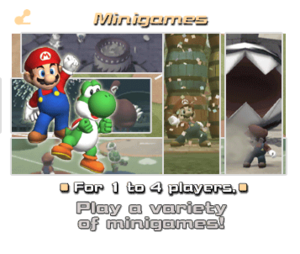 The preview for the minigames has a different picture in the top left. Some songs are a bit different at this point in development. Very slightly different, with the final having more depth and instruments. Has a more triumphant feel in the final. Sounds a little more MIDI-ish in the prototype. 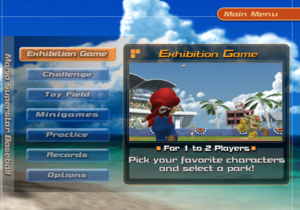 The following can be seen by converting the demo to an ISO and placing it in the Dolphin (GameCube/Wii emulator) menu. First of all, the game has its own save banner. Secondly, the internal title reads: "Famista2003 GC" (ファミスタ2003 GC). 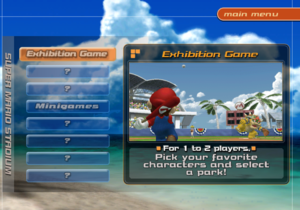 This would appear to refer to Namco's Family Stadium 2003 (ファミリースタジアム 2003), which was released for the GameCube on May 30, 2003.
boot.dol has a build date at DE800. This page was last modified on 25 September 2017, at 23:21.